One of the Acer`s I nurse. This one is a tree of +/- 2mtrs- 7 feet high. Growing in a pot for more then 10 years. Beautiful Capture. I love that vivid blue sky. My maple has been in a pot for about five years. I planted a seed and meant to put in out in the yard but never did. I do have to huge Japanese Maples in the yard, however. It looks gorgeous against the beautiful blue sky. Beautiful shot and a great pov to get the blue sky as a magnificent background. Stunning against that beautiful blue sky - fav! So pretty against that beautiful sky. Prachtige achtergrond voor deze mooie boom. superb capture - those colours! 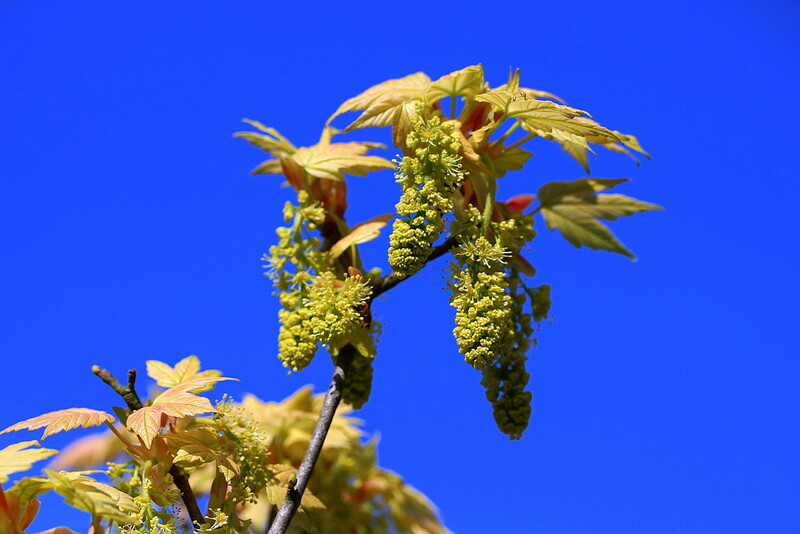 I love the contrast between the Acer and that extraordinarily blue sky! Interesting seeds - not the helicopters that I'm familiar with on maples.